Last fall, Sugarloaf Ridge State Park was engulfed in fires that burned through Sonoma and Napa. But after the wildfires come the wildflowers. On a sunny day in April we zipped up to Sugarloaf Ridge to see carpets of wildflowers and green grasses covering the hills in Sonoma Valley. 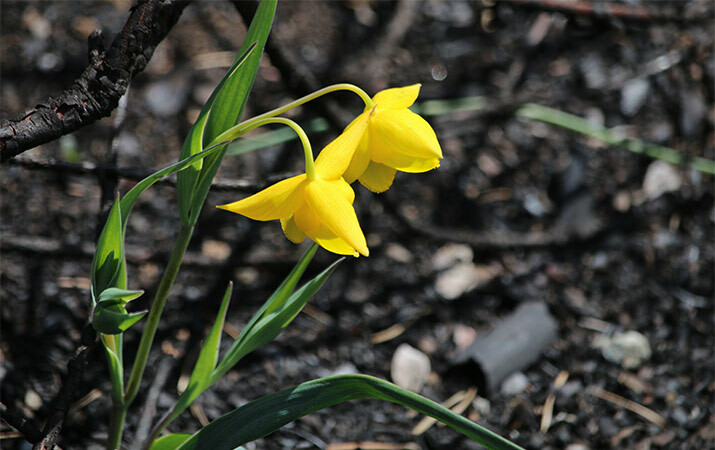 After a burn, the soil has plenty of nutrients, seeds buried in the earth pop up, and with spring rains, some wildflowers only appear after a fire. Other wildflowers we’ve seen previously in the meadow, such as irises and bright yellow fairy lanterns, stood out against patches of darkened dirt under bare bushes. From the Observatory parking lot, we strolled down the broad Meadow Trail. 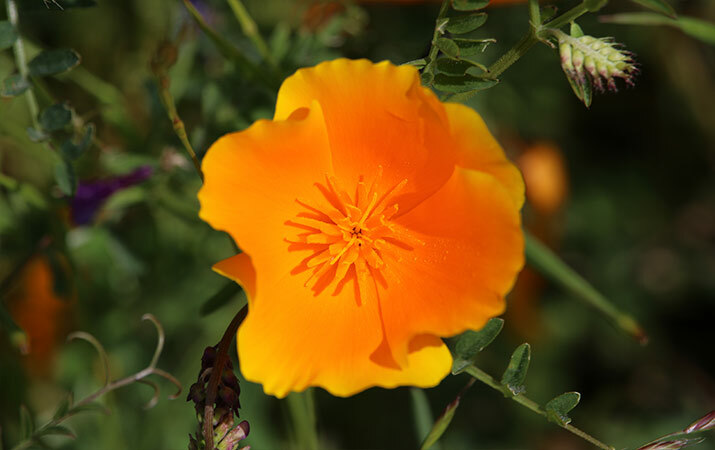 The upper hillside was covered with abundant green grasses, and a gorgeous display of orange California poppies and blue-eyed grass flowers. Along the bubbling creek, we spotted yellow buttercups, pink scarlet pimpernel, purple geranium, green miner’s lettuce with tiny white flowers and butterflies flying through the air. On another trail going up towards Mt. Baldy trail, the hillside was covered with white popcorn flowers, yellow daisies, and blue lupine. 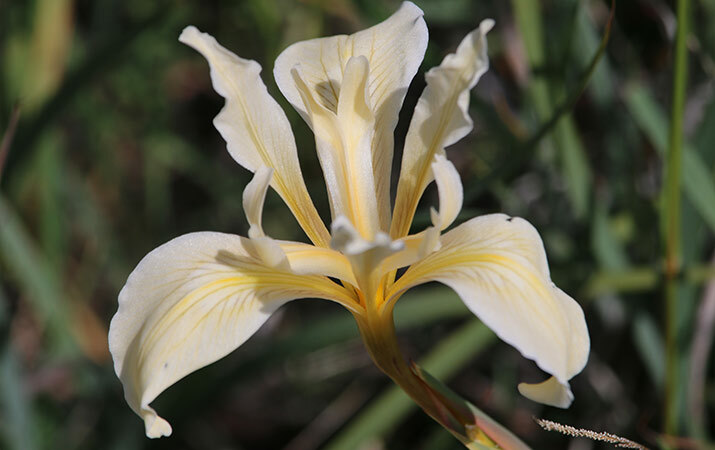 Bees buzzing, birds singing in the trees, a light breeze stirred the flowers in the meadow, what a day to be outdoors in Sonoma spring..
Bring your picnic lunch – there are picnic tables next to the observatory, cold drinks are available in the visitor center. At the gate, ask for a map, which lists all the hiking trails. And find more info about Sugarloaf Ridge State Park and fun things to do with kids in Sonoma Valley on Travel for Kids.